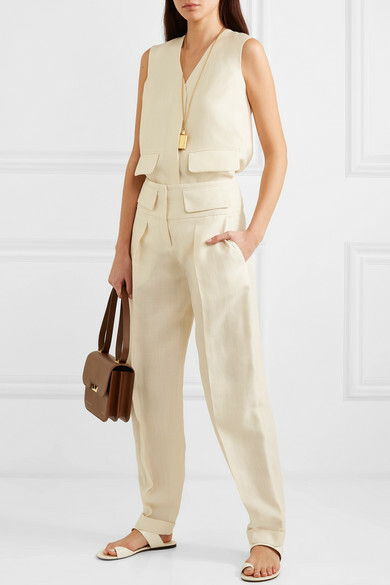 PorterEdit's recent Art of Style, highlights beige as the color of the season. 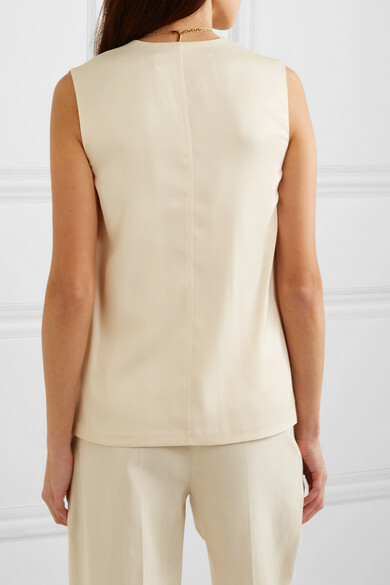 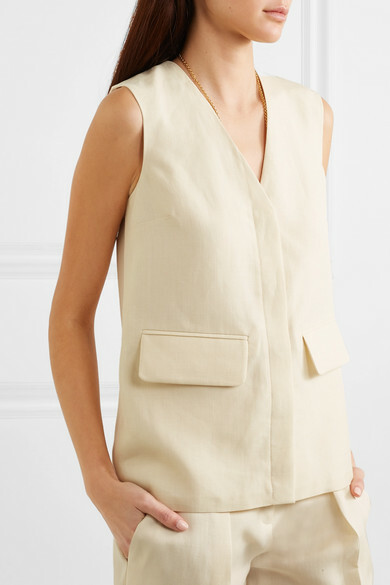 Inspired by Mediterranean climes, Victoria, Victoria Beckham's vest is cut from oatmeal canvas woven with airy linen to keep you cool. 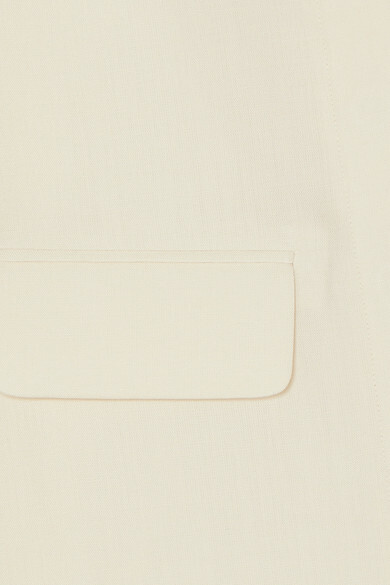 It's backed and lined with lustrous satin and looks so chic paired with tailored pants and the matching blazer.